As teenagers, we’ve all had our exclusive inner circle of loyal friends with whom we could share anything! Secrets, crazy imaginations, questions that would otherwise be deemed stupid and a happy carefree attitude. MX Player and TVFPlay bring viewers a chance to be an honorary member of a similar secret club called the ‘Insiders’ on the 12th of April. 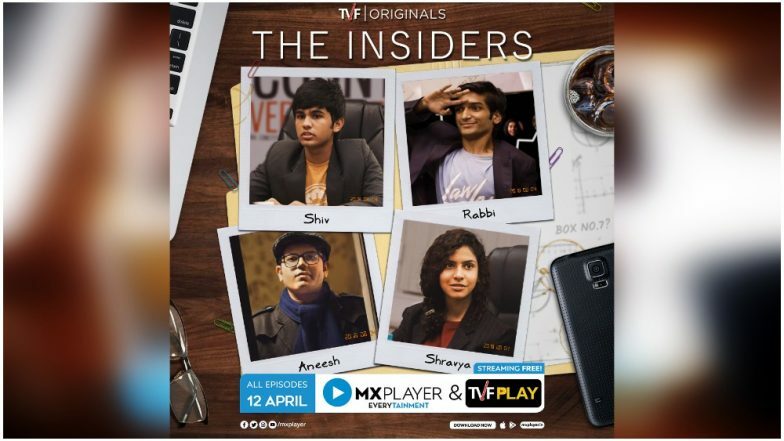 MX Exclusive “Insiders” – a TVF Original, is not a rom-com, or a crime-thriller, or a slow-cooked-drama that speaks about real-world issues. This show is the perspective of the privileged who were so protected by their families, that they developed an attachment to their bedrooms. It is about a generation that has learned more from the internet than it has from the streets. Participate in our #Insiders contest and win Amazon vouchers worth Rs 1000. All you need to do is answer two simple questions and RT this tweet. 1. What is the name of your Insiders Club?